Charlene Butler, is a special educator whose primary interest has been how to promote the overall development and achievement of independence of children with complex developmental disorders. In the process, she has acquired a unique background of experience and training not only in education, but also in therapy, medicine, assistive technology, and research. Dr. Butler is now retired. During her active career, she was with the Seattle Public Schools for 25 years as a Special Education Teacher for children with orthopaedic disabilities and other health impairment. She also was a supervisor/mentor to other teachers, a health educator for the Birth Defects Clinic at Children’s Hospital and Medical Center, and a private consultant helping parents evaluate medical and educational options. Internationally, Charlene spent nearly a year in a study/travel program in 1992, networking innovative ideas for the care of disabled children in 13 Mediterranean, African, and Southeast Asian countries as a Fellow of the International Exchange of Experts and Information of the World Rehabilitation Fund, and has led delegations on childhood disability to China and India organized by the People to People Ambassador Program. 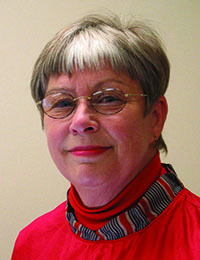 In addition, she has also served on the editorial boards for both U.S. and international journals. Dr. Butler was later President of the American Academy for Cerebral Palsy and Developmental Medicine in 1994-1995, leading the Academy’s effort to develop systematic reviews of interventions for childhood disabilities.